GARDENA — Anime Zou, a conference focusing on anime and the Buddha-Dharma, will be held on Saturday, April 9, from 10 a.m. to 4 p.m. at Gardena Buddhist Church, 1717 166th St. in Gardena. The term “anime” (アニメ) is the Japanese abbreviation for “animation,” which written in kana would be アニメション (animeshon). It has come to specifically refer to a Japanese style of animated art and is seen as distinct from animated cartoons. Some of this distinct art style has been traced back to ukiyo-e influences. Another aspect that distinguishes anime from other animation is the range of themes that anime touches upon and the way those themes are treated. Many of the ways those themes are treated can be linked to Buddhist influences. Exploring and discussing these influences is the organizing principle of Anime-Zou. The name of the conference has this connection between anime and Buddhism in mind. The logo of the conference is a manga-like character of an elephant. The logo comes from the fact that “zou” (ぞう) can mean elephant. Part of the reason for choosing this name is because elephants have played a big role in Buddhism. For example, Queen Maya, the birth mother of Sakyamuni Buddha, dreamt of an elephant before giving birth to the future Buddha. Elephants can also be found adorning the altar area. Store vendors and food booths will be located in the Social Hall. Tickets are $20 for adults, $15 for children (5 to 13). Adults must accompany children. 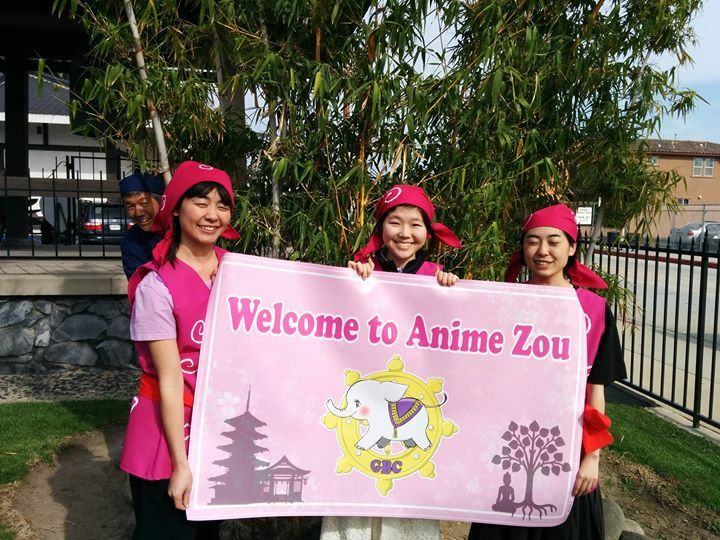 For more information, visit www.facebook.com/anime.zou or call (310) 327-9400.